A beloved teacher from New Jersey was a big winner on "The Price Is Right" in an episode that aired Friday. 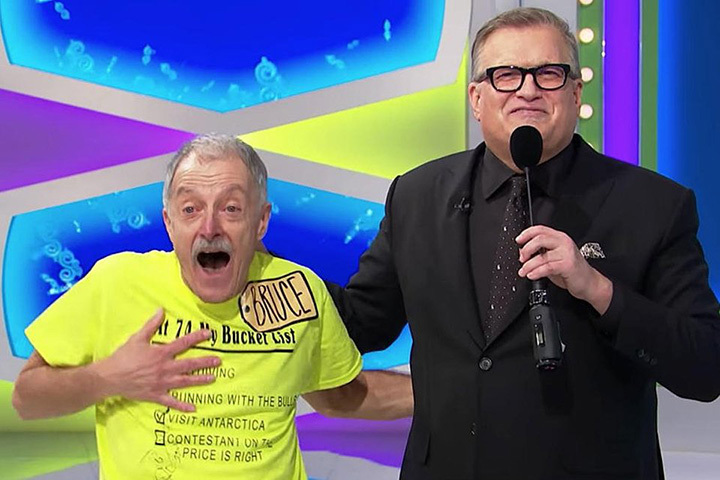 Bruce Zehnle, who taught Spanish at Union Catholic Regional High School for 35 years, got called down to compete on the game show hosted by Drew Carey. Zehnle wore a custom t-shirt, showing his impressive "bucket list" accomplishments. He has gone skydiving, run with the bulls and visited Antartica. Carey then helped check off the final item on his list: "Contestant on The Price is Right". Many former students have posted messages of congratulations and comments about how Zenhle's animated performance reminded them of his classroom days. "He was an incredible teacher who cared about every student and inspired one of my own classmates to go on to a Spanish teaching career as well. This couldn't have happened to a more deserving fellow," one student wrote.